Use coupon code 20BEER2018 for 20% off your order! Holstars are custom made in the USA of high quality, durable Full Grain saddle leather. All 12oz. cans and bottles, some 16oz. ones depending on size. Add your name, favorite quote, concho, or more to the basket. Personalize with stamped letters or favorite quote. Perfect as a gift. Ultimate customization with logo. Now including select licensed college logos! 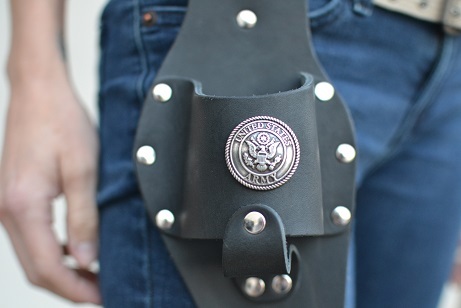 Support the US armed forces by adding an Army, Navy, Air Force, or Marine concho to your holstar! 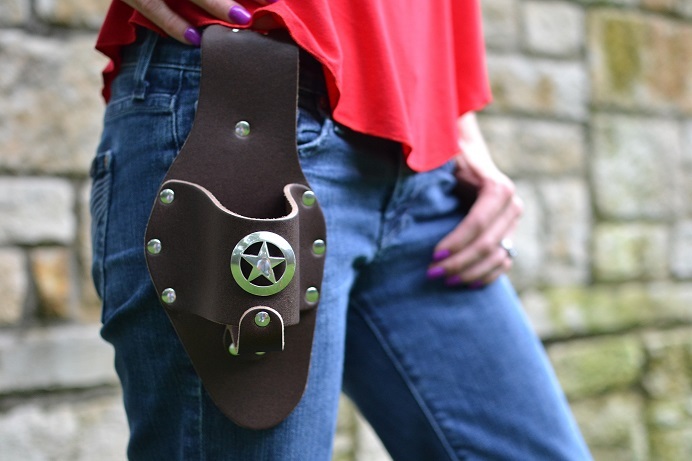 Unleash your inner Walker Texas Ranger with our sheriff star concho holstars! Click Here to Visit the Holstar Shop Now! Playing games at your favorite team’s tailgate. Keeping an extra on you while meeting new friends. A place for your drink during a stand-up make out session. 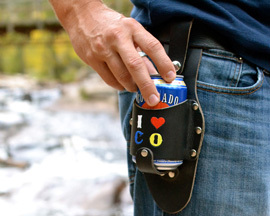 Holding your drink while hiking your favorite trail. Port-o-potties. Where else are you going to put your beer? Keeping hydrated while doing yard work. Protecting your bottle of secret sauce while manning the grill. A safe place for the bottle while burping your baby. Sneaking your drink out of the bar. Allegedly. As an emergency sandal when you’ve lost your shoe.